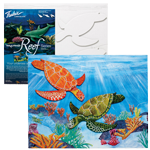 Rex Art is your source for art supplies for kids. 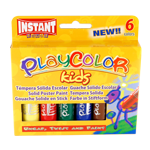 There is no better gift for a child than the gift of creativity, and these colorful art supplies for kids will encourage your child to tap into his or her limitless imagination. 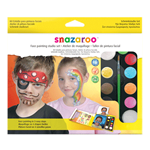 We carry the best array of fun and unique children’s art supplies, crafts, activity kits and painting supplies for the aspiring young artist. Countless studies have indicated that artistic expression of some sort is crucial for childhood development. According to these studies, art compels children to channel their abundance of energy which counteracts boredom and stress. In addition, similar studies suggest that children who engage in creative activities at a young age develop critical thinking and problem solving thought processes and grow up to perform better in school. The younger you nurture your child’s interest in art and creative expression, the more inclined your child will be to reap these desirable benefits. 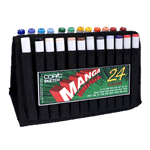 The art supplies for kids offered in our selection are suitable for all ages; the bright colors and fun pictures will pique a younger child’s interest, and the instructional supplies will hone the skills of older children. 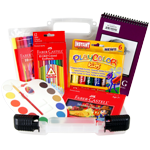 Our endless variety of children’s art supplies, tools, and accessories are available for low prices every day, so anyone can afford to introduce the magic of art into their child’s daily life. In addition, our Free Shipping over $100 makes it easy to stock up on art supplies for kids and build a collection that your budding artist will undoubtedly enjoy. If you have any questions, please do not hesitate to contact our friendly and knowledgeable staff who rely on over 10 years of experience to assist you.